View Entertainment Schedule for the Paulaner Fest Tent. The Cleveland Oktoberfest is thrilled to present, all the way from Germany: Dorfrocker! We’re also excited to announce that for the second time in a row, Dorfrocker has hit the TOP10 of the German album charts with their latest album “Heimat.Land.Liebe.” (Home.Country.Love.)! Remaining loyal to their rural roots, while at once charting a course for stardom, Dorfrocker’s highly acclaimed predecessor “Wood” (#4) garnered the party rock stars a career boost and plenty of notoriety. 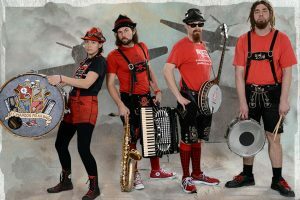 With over 1,000 shows in Germany and abroad, more than 100 TV appearances and more than 30 fan clubs, Dorfrocker has cemented themselves as one of the top party bands in the world, and are regulars at the Munich Oktoberfest. Having made music together since childhood, the three brothers Markus, Tobias and Philipp Thomann hail from Kirchaich, a small village (population 900) near Bamberg, where they still live today. While this small town band may have made it big, the name of their new album still fits their rural roots like a glove: “Heimat.Land.Liebe.” (Home.Country.Love.) 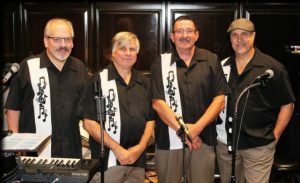 Through the success of prior albums, Dorfrocker has proven that their crossover rocky/party sound, mixed with traditional elements and catchy tunes strikes a chord with the masses – whether on national hit TV shows or at major rock festivals. Their sing-along hymn “Dorfkind” is an infectious national party anthem, because as everyone who’s experienced a live Dorfrocker show knows: these guys love nothing more than to make music and have fun with their fans. Regardless, their primary motive was never fame: “Music is always the focus,” says singer Tobias Klar, “we do not care about being famous. But to stand on stage and play for people who have a great time at our concerts, that’s what we enjoy.” Fortunately for the trio, Dorfrocker’s fan-first focus on entertaining has paid huge dividends. Now in their tenth year, ticket sales are through the roof, most of their gigs are sold out, and their self-organized hometown festival “Village Air” attracts thousands of fans annually. And on social media, their presence is no less impressive. Songs such as “Dorfkind” and “Rowan” have generated well over 5.5 million clicks on their YouTube channel, and their Facebook fanbase is now 130,000 strong—not bad for three brothers from a village of 900. 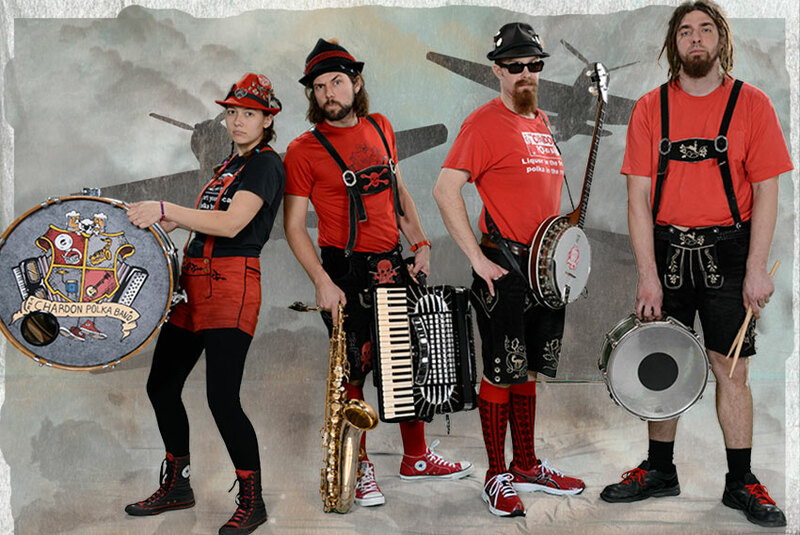 From their humble beginnings as high schoolers going against the grain, playing polkas instead of punk, the Chardon Polka Band has evolved into one of Northeast Ohio’s most beloved and recognizable acts. And as they continue to redefine and breathe new life into the genre, their popularity just keeps growing. No longer just a local act, they can now be found playing gigs throughout the midwest and up and down the east coast. What’s more, they are now the stars of a new reality series titled, The Polka Kings, which premiered April 11, 2015 on REELZ TV. Click here for more information on the show! The Gottscheer Blaskapelle was founded in 1969 by Edmund Seifert and began with 5 musicians, who immediately started building a repertoire of Austrian-style brass band music. With the support of parents, relatives and friends, the Blaskapelle thrived and was comprised of over 30 musicians by the early 1970s. Mr. Seifert served as the group’s president and director for approximately 40 years. Al Widmer, who has been with the band since its early days, is its current musical director. Proudly, the Blaskapelle has always been a multi-generational group. Its youngest musicians, often a mere 10 years of age, play and learn from its most seasoned players, who can be 80 or more. A few original members still rehearse and perform with the Blaskapelle and encourage newer members to learn, play and appreciate the band’s rich musical heritage. The Gottscheer Blaskapelle’s purpose is to preserve, teach, and promote its rich musical heritage. It does so through rehearsals and performances of primarily Austrian and German brass band music. The Gottscheer Blaskapelle regularly shares this rich heritage by performing at numerous German, ethnic and community events and festivals throughout the Cleveland area, as well as in New York City, Milwaukee, Kitchener and Toronto, Canada. The Blaskapelle has also had the pleasure of touring through Germany and Austria. While on tour in Graz, Austria, it was featured playing ‘Heimatland Gottschee’ on Austrian Television. This piece was composed specifically for the band by composer/arranger Herbert Krebs. The Gottscheer Blaskapelle is affiliated with the Erster Österreichischer Unterstützungs Verein, also know as The Gottscheer Club, which is located in Novelty Ohio.